Current tools and methodologies do not always allow for impact evaluation (lack of information, modeling not possible on a pertinent scale) in the implementation of environmental solutions (innovative materials, electric vehicles, renewable energy…) that fit into the balance of dynamic systems. This uncertainty further drags the pace of developing these solution (biofuels, electric vehicles…) and regularly is a cause of the “stop & go” that hinders environmental transition. Determining the cost of solutions is often complicated by this sector’s relative immaturity, which makes it vulnerable to the uncertainties of financial development. Similarly, it is often difficult to determine the benefits, with their manifestation highly dependent on complex, evolving variables (global prices of energy and resources) and regulatory factors (quotas, establishment of new markets, subsidies…). In addition, beyond these still-forming economic models, the financial mechanisms for realizing these solutions are today limited. Financial and methodological tools providing the framework for effective decision-making, adapted to assess the impact of tomorrow’s environmental solutions. To inform decision-makers, public and private. 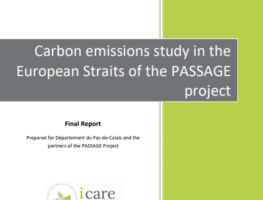 Recognized by the scientific by the scientific community in the different areas it covers, I Care & Consult was accepted as a member of the Pôle de Compétitivité Systematic in December 2012 and is now entrusted with work from increasing numbers of R&D departments of private groups and public agencies.